Nagel Heyer knows a good thing when it sees or rather, hears it. 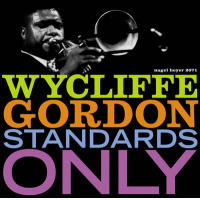 It has brought trombonist Wycliffe Gordon to the studio or captured him at live performances several times during the year, either, as here, as a leader or as a sideman with other Nagel Heyer jazz artists. 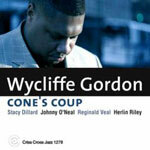 Judging from the play list expand Gordon's recorded output. Consequently, the CD's agenda includes not only some classic standards, but modern music by Thelonious Monk, a couple of blues things and five originals by Gordon. Gordon and his colleagues clearly enjoy the diverse list they have been asked to perform. There's musical testifyin' on the traditional Sign Me Up where Gordon displays his agility on the Tuba. Then comes the dripping corn pone, chicken gravy Southern blues on "Blues for Deac'n Cone" with the piano of Eric Reed and the bass trombone of Roger Floreska getting important air time. We also hear Gordon on the didgeridoo. So what's a didgeridoo? This long, straight instrument has been used for many years in the playing of traditional aboriginal music. It's a big thing in Australia to the point of being the subject of several of its own web sites. 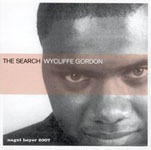 It is the main instrument on Gordon's "The Search" and variously sounds like a mouth organ, drum, a tightly strung fiddle and some others I can't quite place. 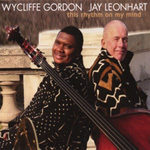 But it is unique and when used in combination with other instruments like Winard Harper's drum, it is important to the statement Gordon wants to make through this composition. Other to note include a beautiful haunting rendition of "Stardust" by Gordon and Reed with their contrasting styles giving some new life to this classic tune and a swinging Gordon composed "Cheeky". Confident in his expertise as a trombonist, Gordon is not averse to inviting other significant players of that instrument to join him on this CD. All these trombones recall those J. J. Johnson/Kai Winding Octet recordings from the 1960's. The trombone choir approach is used effectively on "Danny Boy". This is a top flight album of excellent music skillfully arranged and played with imagination and verve. Highly recommended. Track Listing: Cheeky; What Is This Thing Called Love; He Looked Beyond My Fault (Danny Boy); Frantic Flight; The Search (Part I and II); Touch It Lightly; Georgia on My Mind; Sweet Georgia Brown; Blues for Deac'n Cone; Sign Me Up; Stardust; Ba-Lue Bolivar Ba-Lues; Rhythm-a-Ning. 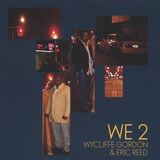 Personnel: Wycliffe Gordon : trombone, tuba, didgeridoo; Marcus Printup: trumpet; Ron Westray: trombone; Delfeayo Marsalis: trombone; Jen Krupa: trombone; Dave Gibson: trombone; Roger Floreska : bass trombone; Victor Goines: tenor saxophone; Walter Blanding, Jr.: tenor saxophone; Ted Nash: alto saxophone, flute; Eric Reed: piano; Rodney Whitaker: bass; Winard Harper: drums, percussion; Herlin Riley: drums, percussion.